Mike Kuhn is the Franchise Owner of this location and has personally performed over 10,000 house inspections and has supervised another 40,000. He is the Author of the Pocket Idiot's Guide to Home Inspections and has been featured on HGTV, and GMA. Mike has been a trainer for the National Institute of Building Inspectors (NIBI)(r) as well as field instructor for the state. 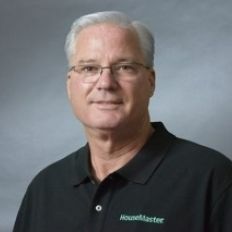 He is an approved to provide training and CEU courses on home inspections. Mike and his team offer everything today's buyer or seller needs to make informed real estate decisions including Mold Screening, Thermal Imagine, Level II Chimney Inspections, Commercial Property Inspections and Residential Property Inspections.